When the rock musical Rent opened on Broadway in 1996, the point of reference for many viewers was Giacomo Puccini’s opera – premiered a century earlier – La Bohème. Jonathan Larson’s musical was an updated version of the opera’s libretto, though with entirely new music. 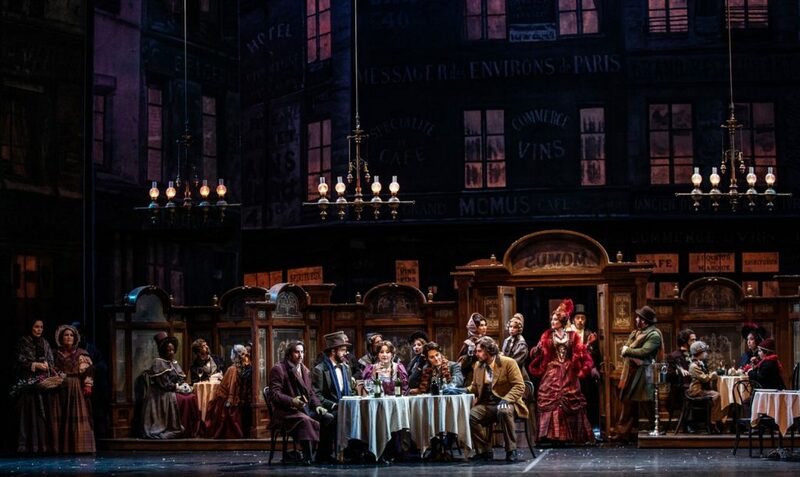 Fast forward two decades: at the Nov. 15 performance of Puccini’s La Bohème in the Broward Center’s Au-Rene Theater, audience members could be heard using Rent as a point of reference to describe La Bohème to their operatically novitiate companions. Times change, and pop culture is invasive. More to the point, however, was the immediacy of the Florida Grand Opera production, persuasively staged by Jeffrey Marc Buchman on attractive sets designed by Michael Yeargan. La Bohème was a work of the Italian composer’s youth, based on an earlier 19th-century novel by French author Henri Murger, Scenes from Bohemian Life. Its characters were young and vibrant, tasting life’s joys and tragedies perhaps for the first time. FGO provided a cast of young performers who could act as well as they could sing, and Buchman elicited convincing portrayals that made each protagonist credible individually and in interactions with each other. The plot is timeless: early love, sexual freedom, poverty, disease and death. In the 19th century, the demon illness was consumption; in Rent it was the AIDS epidemic. Typically, an act of a Puccini opera begins with everyday people discussing everyday matters – the type of drama known as “verismo” – an innovation from previous operatic generations’ concerns with gods and goddesses, kings and heroes far removed from everyday life. Then, about halfway through Act 1, the heroine enters. Puccini was in love with his heroines – and often with the singers who portrayed them as well. Love blooms, in the form of tuneful arias and passionate love duets where the music soars and the singers display their chops by rendering long-lined melodies and sustained high notes. 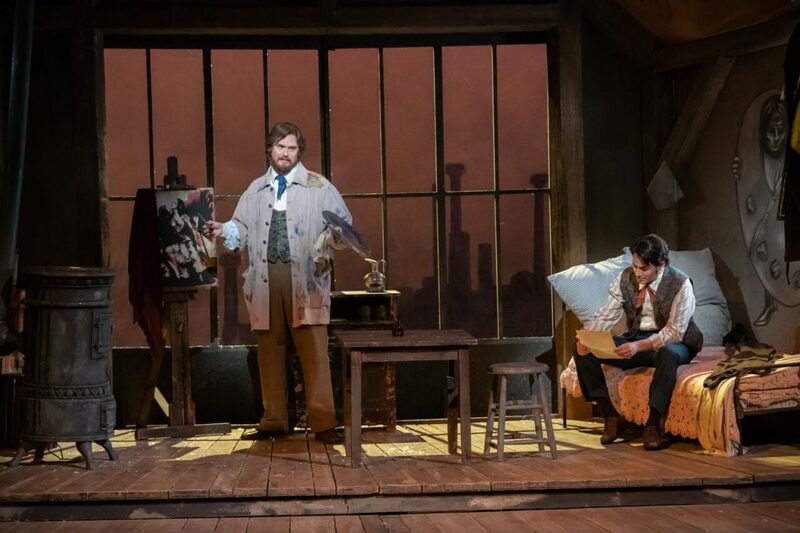 The heroine of La Bohème is the seamstress Mimi, who wins audiences hearts along with the poet Rodolfo’s, and expires with a four-handkerchief death scene at the end. On Nov. 15, FGO’s original Mimi, Adrienne Miksch, who had sung previous performances in Miami, canceled because of illness (she will return tonight). Her replacement was Floridian Elizabeth Caballero, a former member of the FGO Studio (young artists) program who performed the role at the Metropolitan Opera in March of this year. From the way she fit into the ensemble and took over the staging, it would have seemed that she had been in this production from the very start. She was a lovely and lovable figure on stage. Her soprano sound was clear and focused, even throughout the range, strong and unforced at the top. Her first act aria, “Mi chiamano Mimi,” was expertly vocalized and on the mark in establishing her character. Much credit for the evening’s success belongs to conductor Ramón Tebar, who kept the orchestra with her with a precision that was doubly admirable, considering that he and the soprano must have had minimal rehearsal time together, keeping the orchestra soft in passages that allowed this very sensitive singer to make subtle nuances that colored the Italian words with meaning. Tebar is an unusually flexible conductor, not unwilling to bend the rhythm to accommodate singers’ needs, or to bring the continuity to a near stop to allow for applause. Sometimes this might make a scene seem overly drawn out; for the most part his pacing was cogent and effective. Along with the soprano, the singer of Rodolfo bears the vocal brunt of this opera, and Italian tenor Alessandro Scotto di Luzio essayed this difficult role with courage and mixed success. He was a handsome, ardent foil for his Mimi. His voice is solid in the middle range and capable of trumpeting out the requisite high notes that seem to come out of nowhere. Rodolfo’s signature aria, “Che gelida manina,” was intermittently thrilling. Singing it in the original key (many tenors opt for a lower transposition) Scotto di Luzio threw away some important lines early on, but nailed the sustained high C, and made all the hurdles that the role includes later on. 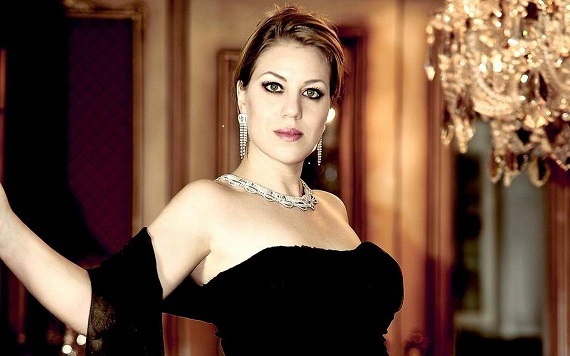 As the secondary couple, Musetta and Marcello, Jessica E. Jones delivered Musetta’s waltz (“Quando m’en vo”) with elan, while adapting a darker shade for her prayerful lines before Mimi’s death. Trevor Scheunemann delivered his lines with clear enunciation and a gorgeous, resonant baritone sound. The remaining Bohemians were bright-toned baritone Benjamin Dickerson, a jaunty Schaunard (the musician); and Simon Dyer, pleasant-sounding but bland in the philosopher Colline’s last-act lament for the overcoat he must pawn to get medicines for Mimi. Tony Dillon showed comic flair in the dual assignment of the landlord Benoit and Musetta’s part-time sugar daddy, Alcindoro, while Lievens Castillo’s full tenor was striking in the single brief line allotted to the toy seller, Parpignol. 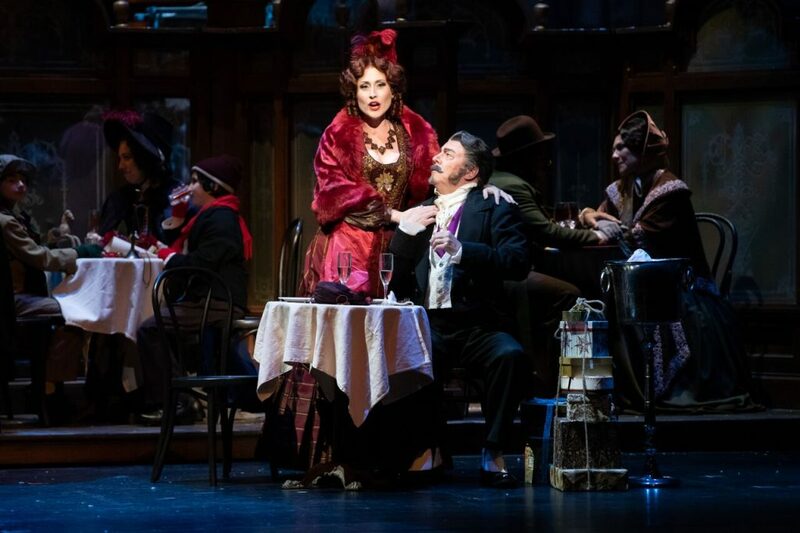 La Bohème can be seen at 7:30 tonight at the Broward Center for the Performing Arts. Call 800-741-1010 or visit fgo.org for tickets or more information.